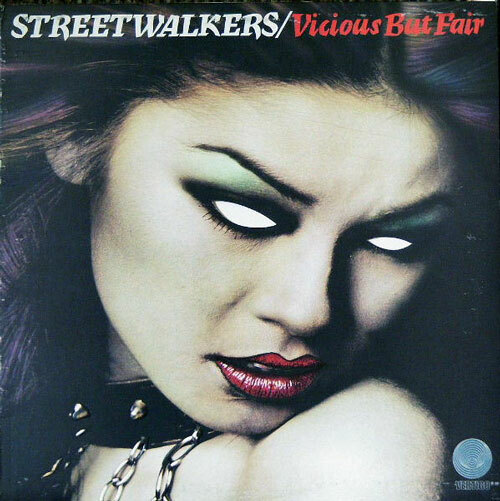 This was the last Streetwalkers album, and as good as they were, I think they had run their course. A final lineup now, with a new rhythm section and a full-time keyboardist, Brian Johnstone. Album covers a lot of ground, and is dynamic: vicious, yet fair. One of the top Streetwalkers riffs gives this song its takeoff. Nice funky syncopation, lots of breaks in between the notes. Strong keys from the now-permanent keyboard position. Kind of a weak bridge, and I never know where it’s going. Back into a lean and mean solo. Fade out with a piano solo spot. An extremely melodic tune that was the single for this album. Good sax work from Mel Collins, and it was a good thing they had him as a friend. The monster guitar riff behind “Ain’t nothin’ better…” sounds a lot like the famous Clapton line from “Badge”. As I said above, this does get spread a little thin, but there are a number of sections or themes that segue well. It just seems to never end. Chapman’s voice, even though it is multi-tracked, has a lot of character and is as unique as ever. Both (!) of the quiet middle sections build with a thoughtful guitar solo, and then kick into double-time. Nice string section throughout. I’m sure they REALLY stretched it in concert. The preceding album, RED CARD, was all-electric, so this is the first quieter number in a while for the band. A touching slow ballad of lost love. Female backup on the choruses, and excellent Mel-sax as usual. Classic Charlie 12-string, just like the old days. And Poli Palmer is credited with synthesizer on this, but I honestly can’t pick it out. Maybe that flutey sound towards the end. Back into the funk-fray, and there’s good rockin’ tonight. Love the “Big Bass Man” in this one. I thought Charlie’s lap-steel was in this; the first solo may be just regular slide. It really is hard to tell where Charlie’s playing ends and Bob Tench’s begins. Oh there it is, a lap-steel part at the end. Yummy! Thickly-strummed 12-string chords, and this is the tale of a gambler down on his luck. A somber tune, but I think most of the sadness comes from the fact that Bob Tench’s second vocals make a one-time appearance for this album. Just a shame; his under-utlized voice gives me the shivers. It gets a little more bouncy towards the end. 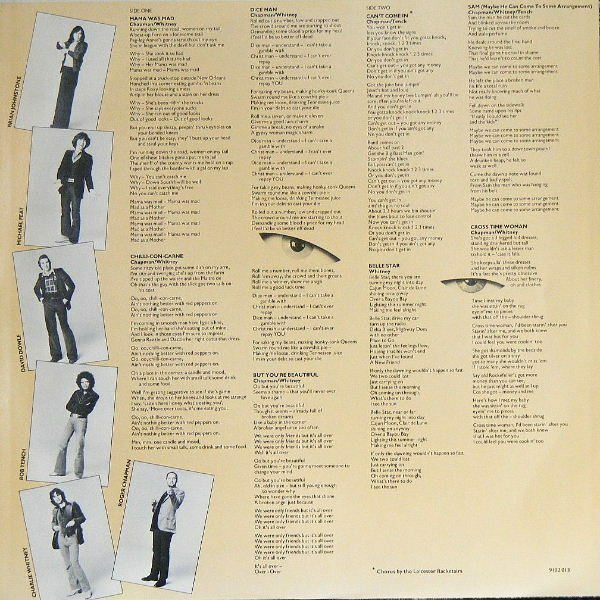 The last studio track from the Streetwalkers combines a lot of textures. Some dexteritous piano, acoustic guitar, funky bass, and a veritale chorus of Chappo’s. 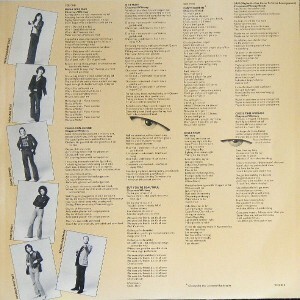 Mel Collins’ sax comes in for some soprano solos, and there’s organ and synths also. The outro bars are the best… some resonating strings and great backing vocals. Combines the edgey-feel of Streetwalkers with a deep sense of melody.